All my life I have lived for endless creamy action. For years I've been begging, please someone end this parody. There must be a solution—somehow, somewhere. Soy milk upsets my stomach, hence, to the loo I become a slave. 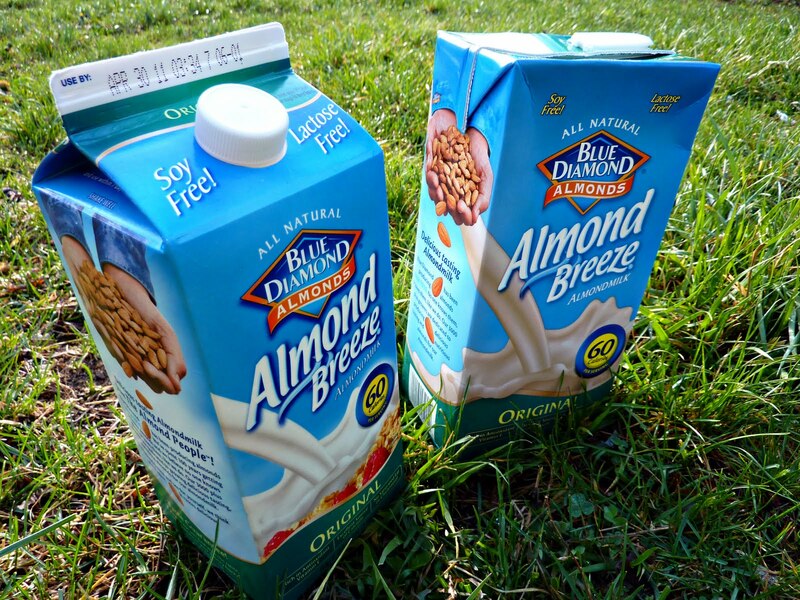 Almond Milk by Blue Diamond, alas, I no longer have to fear. Almond milk is my go-to creamy alternative to cow's milk for most things in my dairy-free life. I add it to soups, use it in all of my bread and cookie recipes and cannot do without it for my morning chai lattes. Finally, after months upon months of requesting it, most of the coffee shops around these parts have started offering it on their menu along with the soy and rice alternatives. I have tried many different brands of almond milk and love Almond Breeze the most. Some of the other brands will do a strange separation thing when heated, turning what was intended to be a moment of creamy bliss into an unexpected coagulated funk. Almond Breeze has withstood the test of boiling, baking and frothing and I will stand by my Almond Breeze to the end. LOVE this, and love Almond milk! Many people don't know the dangers and health concerns of cows milk. Thanks Sister! Glad you're feeling the almond milk love, too. I'm happy for you to link. I just stopped by your post "cows milk is for baby cows" and I couldn't agree more with your sentiments. Cheers!